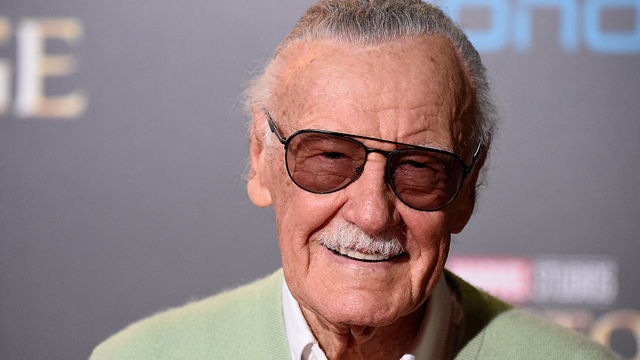 The recent passing of Stan Lee wasn’t just a sad day for the comics world, but for entertainment in general. Few creators have shifted the entertainment landscape like Lee managed to do during his life. From Spider-Man to the Fantastic Four, there is no shortage of heroes that Lee had created or had a hand in creating. While he’s most famous for doing cameos in films based upon his work, there are also a number of Stan Lee game cameos that fans should check out. With that in mind, take a look through gaming history and view 10 Stan Lee game cameos. 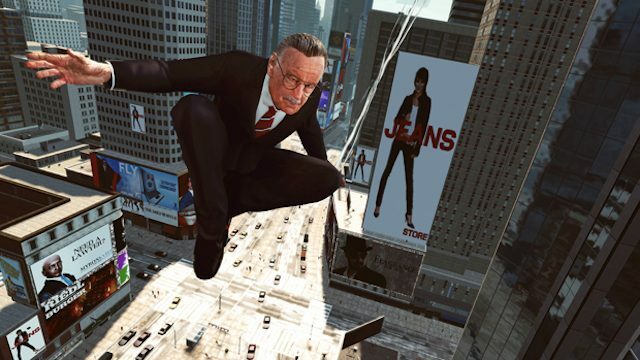 One of Stan Lee’s earliest appearances in a game was not as a physical in-game model, but as a narrator. The Spider-Man creator voiced the narrator in both 2000’s Spider-Man by Neversoft and its sequel, Spider-Man 2: Enter Electro. 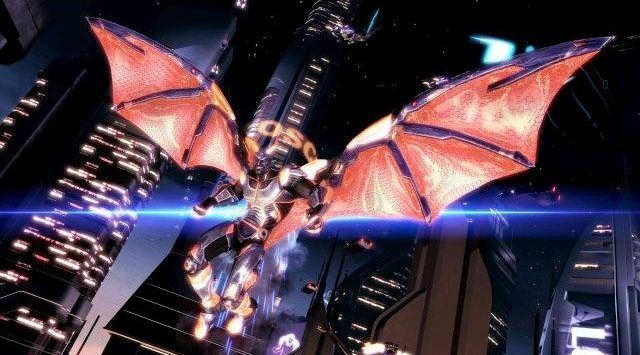 He pops up during several parts of the story to drive home the narrative, and it was a part of an impressive audiovisual experience as many Spider-Man Unlimited voice actors reprised their roles for the game. 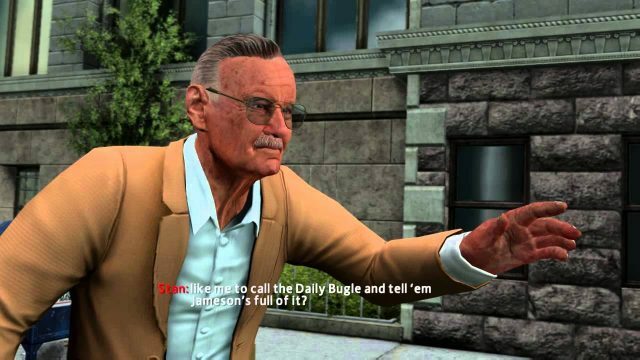 Stan Lee’s first on-screen appearance came in 2009’s Marvel Ultimate Alliance 2. In the action role-playing game, Lee appears as a Senator that shares his name. It’s a very small role, one not unlike his many appearances in Marvel films across the past several decades. Eventually, he winds up being saved by the main team of heroes from Titanium Man. Lee’s next appearance in a Marvel game was a familiar one, as he continued his narration work in Spider-Man: Shattered Dimensions, which came out for PlayStation 3, Xbox 360, Nintendo Wii, and PC. 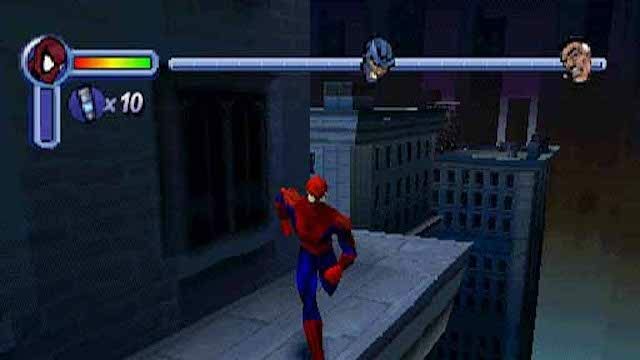 It features a rather unique story, as it sees several different versions of Spider-Man interacting with each other, as Noir Spider-Man, Amazing Spider-Man, Spider-Man 2099, and Ultimate Spider-Man all appear in the game. During this time, he also voiced two apps by Disney: Avengers Origins: Assemble! and The Avengers Origins: Hulk. 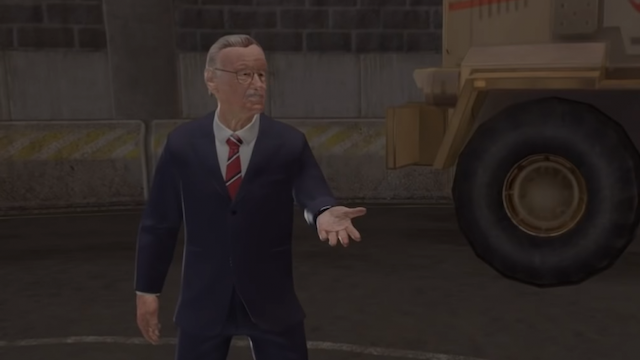 Arguably the coolest Stan Lee game cameo came in the game adaptation of The Amazing Spider-Man as they released DLC that allows players to control a version of Lee that has the same powers as Spider-Man. In it, he has to find pages of a comic manuscript that have been scattered across the city. He also makes a more traditional cameo in the main story, as he humorously calls Peter Parker about charges to his credit card. 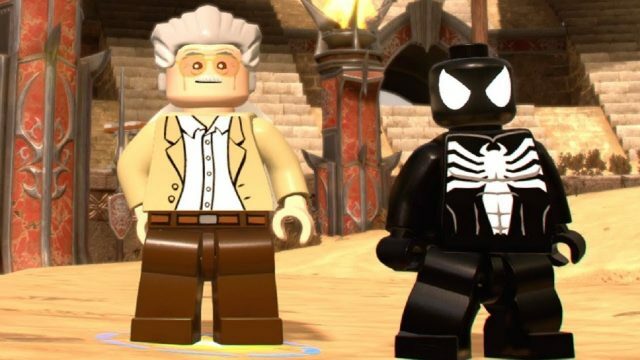 Some of the wackiest Stan Lee game cameos come from the LEGO video games, and fans were treated to an “incredible” one in LEGO Marvel Super Heroes. 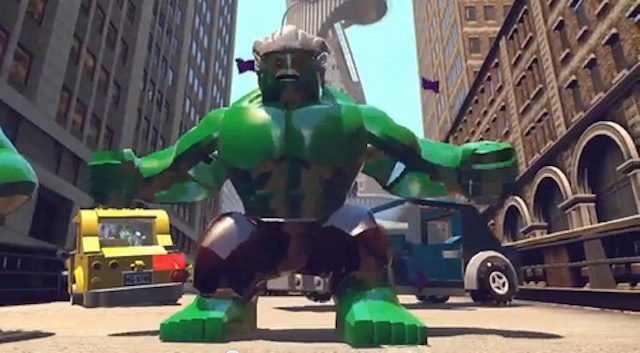 As a playable character, the mini-figure can turn into “Stan-Hulk,” a version of the Hulk that has Lee’s hair, glasses and mustache. It’s undeniably silly, but also a very cool addition to the kid’s title. Stan Lee also plays a decent sized role in The Amazing Spider-Man 2. He’s now an owner of a comic book store called Comic Stand. During the game, Lee gives Peter Parker some good advice and tells him how important he was to his uncle. It’s a surprisingly heartfelt moment, and one that hits home even more after his own death. Lee continues his fun LEGO cameos in LEGO Marvel’s Avengers. This time around, Lee can become variants of three separate Marvel heroes. These include the aforementioned Stan Hulk, Iron Stan, and the Stanbuster (seen above). It’s hysterical seeing the Hulkbuster armor equipped with a giant pencil, but he still manages to be quite the threat in the game. 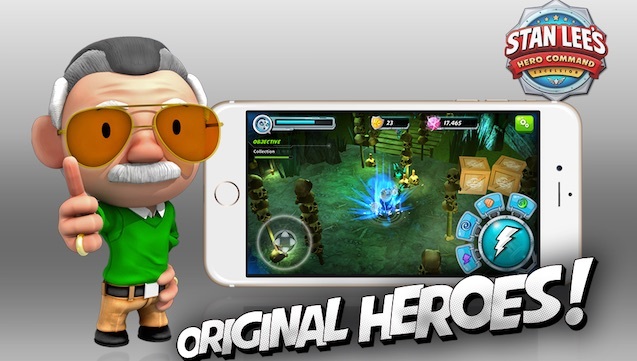 While not technically a cameo, Stan Lee released his own mobile game in 2016. Called Stan Lee’s Hero Command, he serves as the boss of a group of all new superheroes that players take on missions. It has a fun art style, and Lee is always present between missions. He’s even available as a playable character, and he turns the game into a stealth title as he uses an invisibility watch to avoid enemies. Once again, leave it to LEGO to do something completely ridiculous (in the best of ways) with Stan Lee. 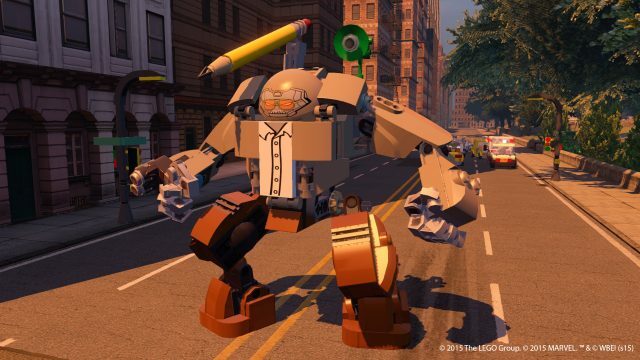 In LEGO Marvel Super Heroes 2, he once again returns with superpowers, although it’s taken to the next level. He has the abilities of Thor, Galactus, and Spider-Man this time around. It’s only fitting that comics’ most famous creator is overpowered as he brought all of those heroes to life during his incredible career. 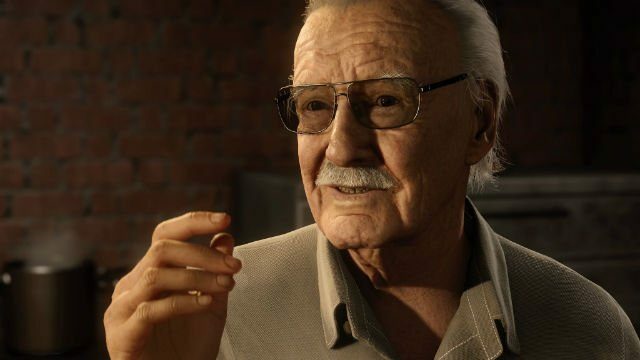 The final Stan Lee game cameo is found in Insomniac Games’ Marvel’s Spider-Man. As detailed in our Stan Lee Spider-Man PS4 cameo guide, he makes an appearance about 90 minutes into the story. After players finish the “Don’t Touch the Art” mission, players can run into Stan Lee who gives Mary Jane a compliment. His official role is listed in the credits as a “short order cook,” so he didn’t have the most luxurious job title in the game. But it doesn’t matter. We all smiled when we saw it.